After posting an Insta supporting St. Vincent at GovBall this weekend, Cara Delevingne accompanied her girl to Stella McCartney's annual garden party and Resort Collection presentation in NYC's Elizabeth Street Garden yesterday. The colorful, Cuban-themed bash showcased the designer's ethereal new pieces, flowy, wood nymph-y, and perfect for summer. There were also maracas (which Alicia Keys couldn't help but make use of) and plenty of A-listers, from Liv Tyler to Miranda Kerr. Soulful crooner Maxwell even busted a move - taking Dree Hemingway for a little spin. 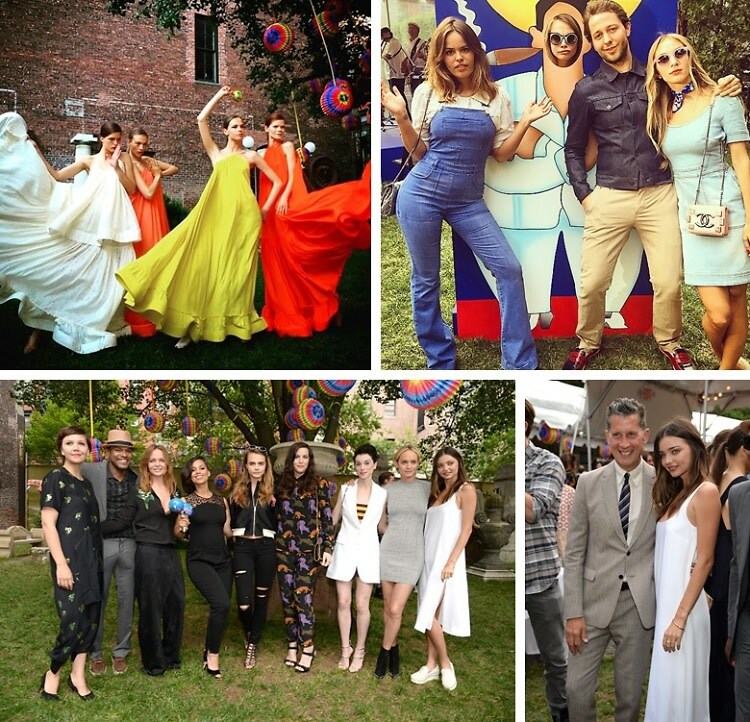 Click through for an inside look at the fashion fête! Who was there: Guests included Maggie Gyllenhaal, Maxwell, Stella McCartney, Alicia Keys, Cara Delevingne, Liv Tyler, St. Vincent, Amber Valletta, Miranda Kerr, Atlanta De Cadenet, Derek Blasberg, Harley Viera-Newton, Alexa Chung, Jennifer Fisher, Athena Calderone, and Stefano Tonchi.